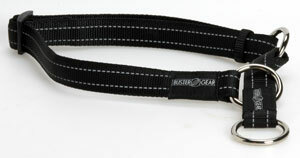 The Buster half check collar for large dogs helps train your dog to walk to heel. A robust product which is comfortable for the dog to wear. Made from solid nylon that encases a soft foam filling. Reflective threads have been applied to ensure greater safety during walks after nightfall. Black or Blue. 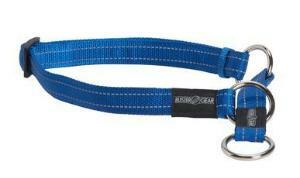 Matching lead and harness available.